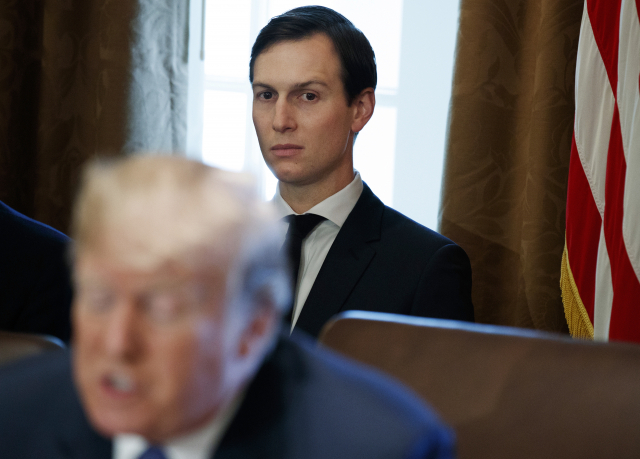 WASHINGTON (AP) — The security clearance of White House senior adviser and presidential son-in-law Jared Kushner has been downgraded, significantly reducing his access to classified information, according to two people informed of the decision. The downgrade would mean that anyone giving top-secret material to Kushner could be accused of mishandling classified material, according to David Priess, who wrote a history of the President's Daily Brief, the highest-level intelligence document produced in the United States. Still, a president has the ultimate authority to classify or declassify information, so he could show the brief — covering hot spots around the globe, U.S. covert operations and intelligence about world leaders— "to whomever he damn well pleases," Priess tweeted.